← Matt Smith alt boots – for the ladies! With the major pieces in place and the rest on its way or in production, it’s about time I talked about my next major cosplay, which I’ll be debuting at Gallifrey One this February! 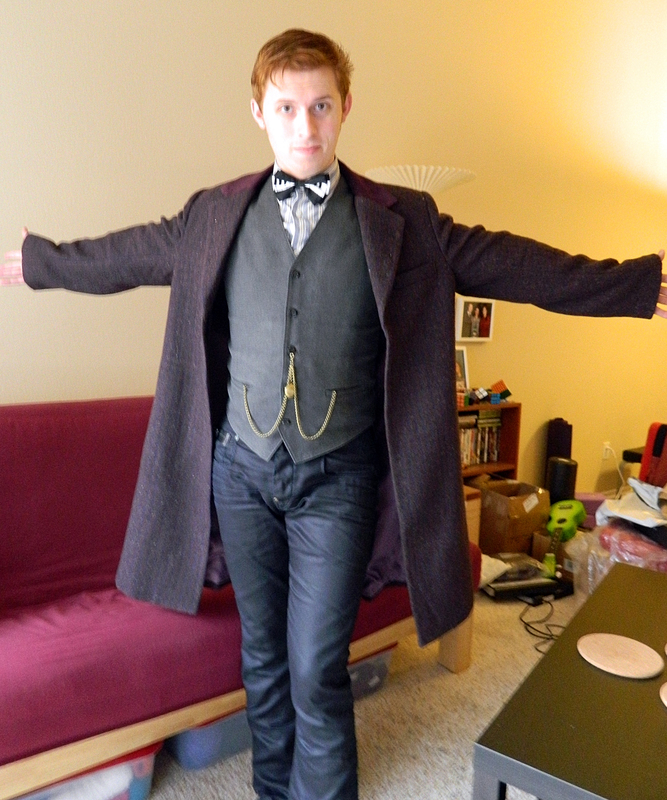 I’ve wanted to do this outfit since seeing Matt Smith on the anti-gravity motorbike in The Bells of St. John. After seeing both the real W. Bill cashmere as well as the Abbeyshot fabric at Gallifrey One last year, I knew that the Abbeyshot was close enough for me, and with a full Abbeyshot coat clocking in at less than the price of just ONE yard of the W. Bill fabric (and 2½ yards needed for a frock), I knew I would eventually settle for the Abbeyshot coat, being far from capable of purchasing the real deal when I had the chance (the real fabric has since run out). So, knowing that there was actually a chance of doing a near-screen accurate cosplay for (almost) affordable (how affordable can this hobby be, REALLY? ), the desire to do it kept poking and prodding at me. A little while ago I compiled a list of all the things I would need and began doing the research on them. Once I was satisfied I knew enough to make decisions about where to get what pieces, what I needed SA and what could be CE (and what had to be CE), I started quietly looking around. Recently I came into a little extra money so I began actually picking up bits and bobbles where I could. I’ve actually been sitting on the G-Star Raws for a while now, as I purchased them back in September and had them in my hands on October 1st. 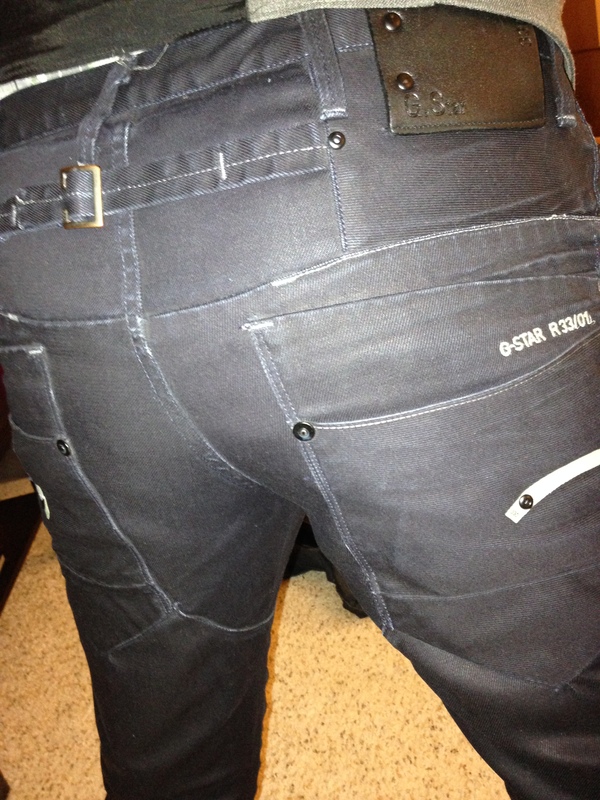 They are actually the screen accurate pants for Series 6 (G-Star Raw in Blade Slim), the only notable difference being the waist button, which is gold on the Series 6 pants but black on the Series 7b pants. The pair I got came off eBay for relatively cheap, and they’re in great but not perfect condition. Still, I love them to death, they’re truly a great pair of pants. I have some major additions coming, including the Bells of St. John shirt and a bowtie that doesn’t have piano keys on it (shut up, it’s the only bowtie I own right now! ), so there will be updates when those arrive. 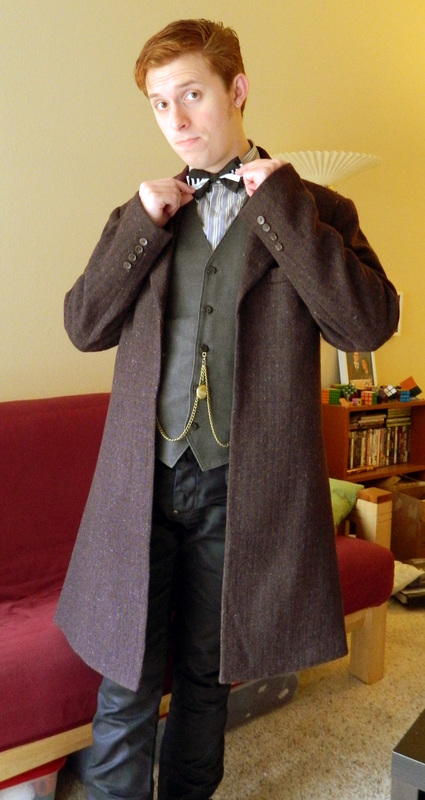 My Abbeyshot coat will also undergo some retailoring to both make it more accurate as well as fit me better (the Abbeyshot is a bit boxy, despite Smith’s being very fitted), but I have to say that my favorite piece that I’ve put together so far has been the suspenders. I bought the Abbeyshot suspenders because, honestly, they look amazing, and even if the real suspenders had been ID’d (or if an ID had been announced) the likelihood of finding the real deal would be very slim. When they arrived I was very pleased to see that they looked as good in person as they did online, but there was still one little detail nagging me – the clips. Because he wears the frock and usually a waistcoat, the only part of the suspenders that really get any airtime are the clips, which, as you’ll see, are very specific, non-standard clips, and not at all what Abbeyshot puts on their suspenders. I unleashed my Google-Fu (a sport I’m actually a bit rusty at) and was able to track down a company that sold the SA clips in small sets. So I purchased 10 pieces from them at a pretty affordable price and was surprised to find, when they arrived from China, that I had been sent 30 pieces instead! It turns out, as well, that suspender clips are very easy to replace if one owns needle nose pliers, so in just a few minutes I had replaced all my suspender clips! It turns out, however, that I now have a few extra sets! If anyone would like to buy a set from me, I’m selling them $5 for 4 not including shipping, although I don’t know how expensive shipping will be. If you live in the LA/Valley area, I can meet up with you and do a hand-off, which will be cheaper and faster than mailing them. Just let me know through a comment or email if you’re interested. So, now that I have most of the cosplay together, I will be posting updates as well as reviews of various pieces, including a big write up on the Abbeyshot coat, so stay tuned for those! 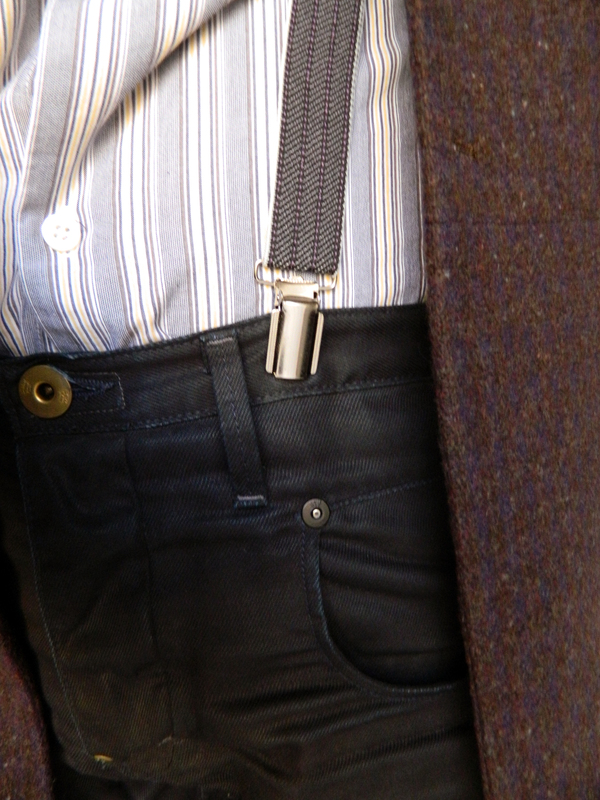 How was the sizing on the suspenders? Im between sizes with the medium and large and want to know. They fit fine. I’m sort of between sizes myself and I’m going to do a little extra modding on mine to shorten them – Smith wears his sliders really close to his waistband but with the Large size they would be wayyyy too loose if I wore mine down that far. If you’re between sizes I’d say your probably safe getting a Medium and wearing the sliders low like Smith does. Love the blog, Jelly of some of your piece. Can I buy a set of clips from you if they are still for sale?